Few people realize that polygamy continues to exist in the United States. Thus, world-wide attention focused on the State of Texas in 2008 as agents surrounded the compound of The Fundamentalist Church of Jesus Christ of Latter-day Saints (FLDS) and took custody of more than 400 children. Several members of this schismatic religious group, whose women adorned themselves in "prairie dresses," admitted to practicing polygamy. The state justified the raid on charges that underage marriage was being forced on young women. A year later, however, all but one of the children had been returned to their parents and only ten men were charged with crimes, some barely related to the original charges. 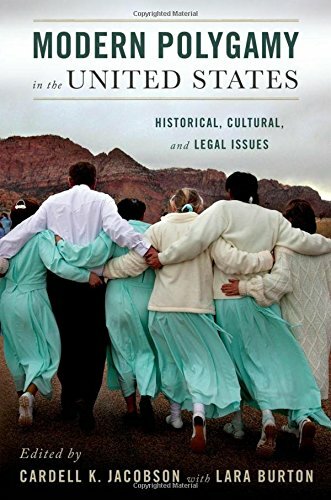 This book reveals the history, culture, and sometimes an insider's look at the polygamous groups located primarily in the western parts of the United States. The contributors to this volume are historians, anthropologists, and sociologists familiar with the various groups. A legal scholar also addresses the legality of the Texas raid and a geneticist examines the paternity issues. Together, these authors provide a much needed understanding of the surprisingly large number of groups and individuals who live a quiet polygamous life style in the United States.